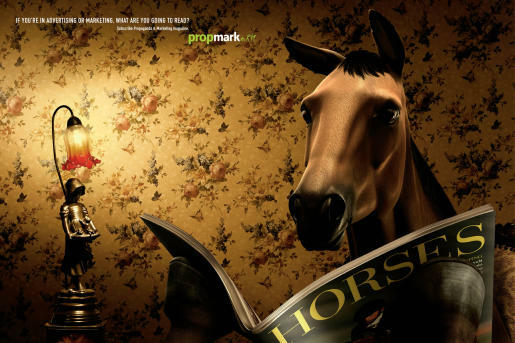 Brazil’s marketing industry magazine PropMark has a series of print advertisements claiming the readership of all interested in the advertising and marketing field. 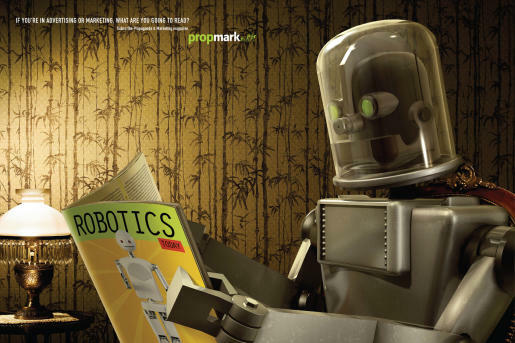 If you’re a robot you’d be likely to read the Robotics magazine. If you’re a horse you’d probably choose Horses. And if you’re an alien? If you’re in advertising or marketing, what are you going to read? 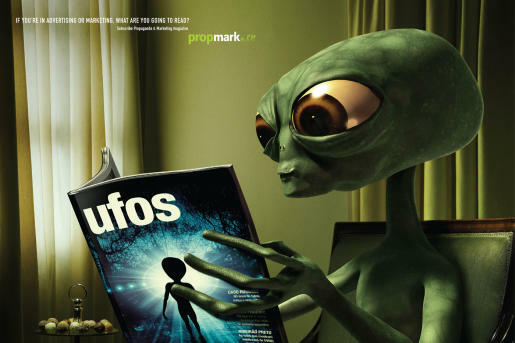 The PropMark campaign was developed at Neogama/BBH, São Paulo, Brazil, by executive creative director Alexandre Gama, creative directors Wilson Mateos and Márcio Ribas, art director Max Geraldo, copywriter Silvio Amorim, illustrator Roberto Jun, photographer Gustavo Lacerda, with digital retouching by Daniel Leão and Alê Perez.